The E013 is a drone somewhere in between 2 worlds. It can also be seen as a beginner quadcopter and a starter FPV drone at the same time. 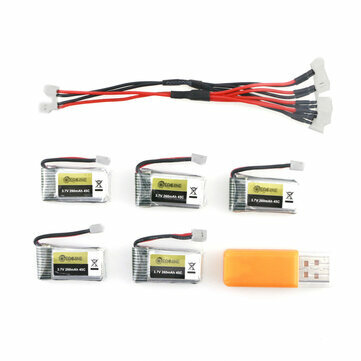 The best part is that you can get the entire package, that also comes with a transmitter and goggles for quite cheap. This is going to allow you to have a complete FPV experience or if you want, simply fly it like a standard drone, without goggles. What are the advantages of FPV Goggles? 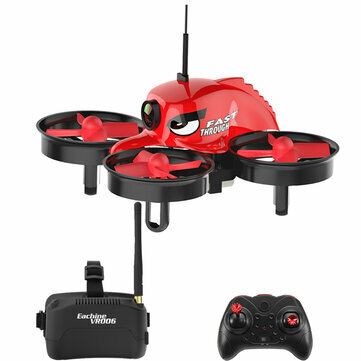 The goggles this drone can come in the package with are the Eachine VR006. They are super lightweight and quite compact for what price you’ll get them for. You can find these sold separately also. These don’t come with DVR, so you’ll have to mount that yourself if you really want it. These goggles come with a 3″ LCD display and a resolution of 500 by 300 pixels. The goggles are unfortunately too small for them to work with eyesight goggles (in my experience). Drones in this price range tend to usually have a camera that transmits images though wifi on the phone. That means you won’t be able to control the drone in real time, as the lag is going to be too significant. 5.8ghz FPV is what professionals use in racing competitions (of course at different frequencies). This let’s you fly the drone in real time even only by watching the camera feed through a monitor or FPV goggles in this case. 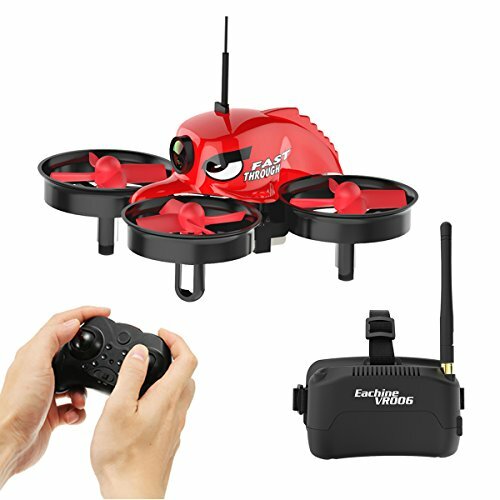 Eachine E013 doesn’t have DVR in the goggles it comes with, which means you won’t be able to record what you see on a micro SD card. But you can always get other GOggles with DVR and use them with the same drone. If you plan or think there might be some drone upgrades coming in the future, goggles like these will work with any drone and you won’t need to buy another set for quite a long time. This drone is probably not the absolute best choice for total beginners. 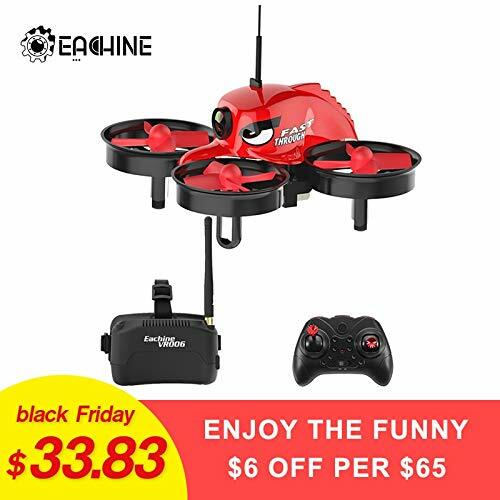 I would probably get something much cheaper to crash at first like an Eachine E010 that’s quite sturdy and similar to this one, but much cheaper, although it doesn’t come with FPV. In terms of specs, it rocks brushed motors and has a pretty short battery life of about 3-4 minutes in my experience, which is not a lot, but common for this size of quadcopter. However, it’s quite simple to counteract this with just getting a ton of batteries (they’re cheap). Here’s a dainly price history for the Eachine, so you know if now is the right time to buy it. The drone comes with ducted propellers that have greater efficiency and thrust, but of course are heavier. However, there’s a good advantage that it protects the propellers from hitting walls, so it’s quite a forgiving to fly drone. The camera for this drone is a 1000 TVL one and I must admit I got along pretty well with flying it. It comes with a 120° field of view, which is perfect for FPV and you can change between 40 channels by the press of the button on top. The image is transmitted at 25mw and that’s quite a good signal in my experience, good enough to pass though 2 thick house walls. The transmitter is the right size and comes with metal sticks, that feel quite well in the hand so they don’t slip in case of something. If you want to experience true FPV experience the easy and cheap way, this might be a perfect choice for beginners.